The Nakhchivan Autonomous Republic of Azerbaijan (NAR) can become an example for some European countries in the development of renewable energy, the Belgian Ambassador to Azerbaijan Bert Schoofs said at a press conference dedicated to the EU Days in the NAR. The ambassador noted that Belgian companies are working in the field of solar energy generation in the NAR. "Many countries talk about the importance of ensuring energy security, but in practice they fail to achieve significant results. In fact, energy security is ensured in Nakhchivan. We hope that in the future this area will develop even further in the NAR. Nakhchivan can become an example for some European countries in the development of renewable energy," Bert Schoofs said. 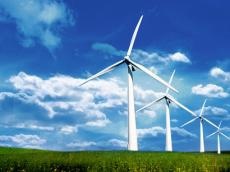 The Finnish Ambassador to Azerbaijan Arya Makkonen also noted that a Finnish company is also working in the NAR in the field of renewable energy sources. "We are interested in the development of this cooperation in the future," the ambassador added.